In Brief: The bacterial population in your gut plays an important role in keeping you healthy. If that delicate human-bacterial ecosystem is disrupted, it can lead to diseases such as colitis, obesity, and depression. In the gut there are many viruses that exclusively infect bacteria (bacteriophages, or "phages" for short), but little is known about them or their impact on us. 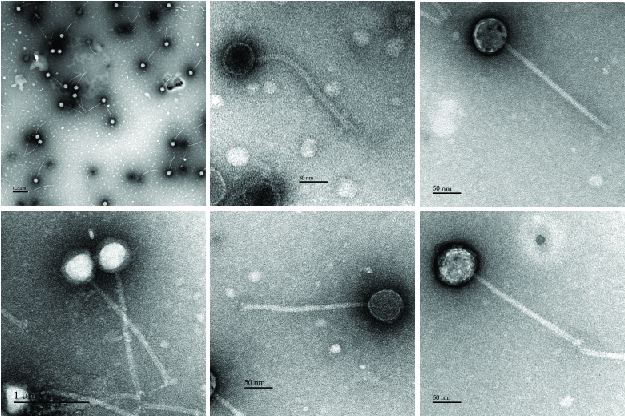 Our research aims to identify new phages, characterize them, and ultimately determine the roles phages play in shaping microbial populations within us. In depth: Phages outnumber their hosts 10:1 are thought to result in the death of 20-40% of bacteria worldwide, every day. Their role, then, should be simple; if they're killing "good" bugs, they're bad for you, and if they're killing "bad" bugs, they're good for you. The reality, as usual, is far more complex. Even this simplification would suggest phages promote a diverse bacterial community. By analogy, the re-introduction of wolves to Yellowstone National Park has promoted biodiversity. The situation gets more complex (and the analogy falls apart) when you take into account that phages don't only kill their hosts. Many phages, known as temperate phages, enter a latent state in their host. Temperate phages are understudied, but comprise the majority of phages in the human gut. The resulting prolonged phage-host association is a kind of symbiosis, where the phage has a vested interest in the survival of its host. As such, temperate phages can drastically impact the physiology of the bacteria they infect, even when they do not kill them. It's clear to me that phages are an abundant, active and important component of the complex ecosystem of the gut... but as to what they're doing, the possibilities are limitless.